A new NASA-French space agency oceanography satellite launched June 20 from Vandenberg Air Force Base, Calif., on a globe-circling voyage to continue charting sea level, a vital indicator of global climate change. The mission will return a vast amount of new data that will improve weather, climate and ocean forecasts. Measurements of sea-surface height, or ocean surface topography, reveal the speed and direction of ocean currents and tell scientists how much of the sun's energy is stored by the ocean. Combining ocean current and heat storage data is key to understanding global climate variations. OSTM/Jason 2's expected lifetime of at least three years will extend into the next decade the continuous record of these data started in 1992 by NASA and the French space agency Centre National d'Etudes Spatiales, or CNES, with the TOPEX/Poseidon mission. The data collection was continued by the two agencies on Jason 1 in 2001. The mission culminates more than three decades of research by NASA and CNES in this field. This expertise will be passed on to the world's weather and environmental forecasting agencies, which will be responsible for collecting the data. 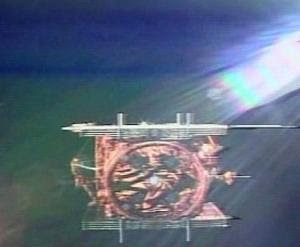 The involvement of the National Oceanic and Atmospheric Administration (NOAA) and the European Organisation for the Exploitation of Meteorological Satellites (EUMETSAT) as mission partners on OSTM/Jason 2 helps establish this proven research capability as a valuable tool for use in everyday applications. OSTM/Jason 2's five primary instruments are improved versions of those flying on Jason 1. These technological advances will allow scientists to monitor conditions in ocean coastal regions -- home to about half of Earth's population. Compared with Jason 1 measurements, OSTM/Jason 2 will have substantially increased accuracy and provide data to within 25 kilometers (15 miles) of coastlines, nearly 50 percent closer to shore than in the past. Such improvements will be welcome news for all those making their living on the sea, from sailors and fishermen to workers in offshore industries. NOAA will use the improved data to better predict hurricane intensity, which is directly affected by the amount of heat stored in the upper ocean. OSTM/Jason 2 entered orbit about 10 to 15 kilometers (6 to 9 miles) below Jason 1. The new spacecraft will gradually use its thrusters to raise itself into the same 1,336-kilometer (830-mile) orbital altitude as Jason 1 and position itself to follow Jason 1's ground track, orbiting about 60 seconds behind Jason 1. The two spacecraft will fly in formation, making nearly simultaneous measurements for about six months to allow scientists to precisely calibrate OSTM/Jason 2's instruments. Once cross-calibration is complete, Jason 1 will alter course, adjusting its orbit so that its ground tracks fall midway between those of OSTM/Jason 2. Together, the two spacecraft will double global data coverage. This tandem mission will improve our knowledge of tides in coastal and shallow seas and internal tides in the open ocean, while improving our understanding of ocean currents and eddies. CNES is providing the OSTM/Jason 2 spacecraft. NASA and CNES jointly are providing the primary payload instruments. NASA's Launch Services Program at the Kennedy Space Center in Florida was responsible for launch management and countdown operations for the Delta II. NASA's Jet Propulsion Laboratory in Pasadena, Calif., manages the mission for NASA's Science Mission Directorate, Washington. To learn more about OSTM/Jason 2, visit: http://www.nasa.gov/ostm .